The third situation is where you acquire new skills like being a detective! Yup! 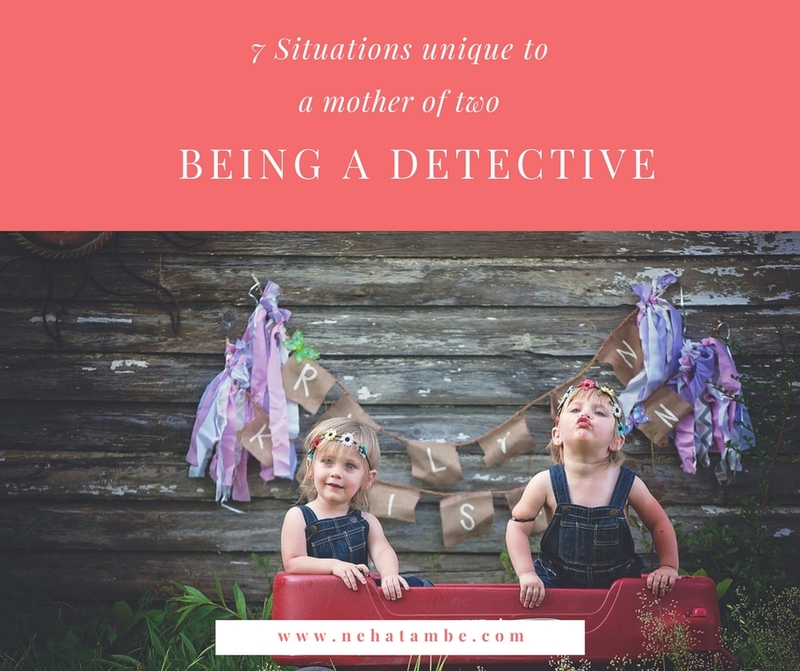 If you are a mom of two, you are a part detective. Once the kids grow old enough and learn the art of offering selective information you turn detective. It’s not like they wish to malign the other or have any darker motive; it’s simply the way how they see the situation or problem. The age I am talking about is 6+ years so it isn’t too far away. Till the younger one can’t figure things out, he is the usual culprit as by then the Child 1 has learned this art and is dying to try it out on someone, so the obvious scapegoat is his/her little sibling. Aren’t they younger? It’s their moral duty to be guinea pigs for all future experiments from older siblings seem to be the thought process. So right from ‘Who spilled the milk?’ to ‘Who latched the door?’ all fingers will point to the younger child and as the younger one is oblivious to this (and too young to argue) things will go smoothly. However, after one or two incidents, the detective in you will arise from his slumber and henceforth every incident will be scrutinized. By now child two will also hone his skills in selective information sharing. In these years, both will come to you with a fight and each will vociferously blame the other for the situation. So if the milk is spilt because the older one came rushing in and pushed the table, Kid 1 will see it as Kid 2’s fault as he didn’t drink it quick enough and is always lazing around and Kid 2 will see it as Kid 1 always runs around the house spoiling/spilling the younger one’s things… so on and so forth, you get the drift. This is the time when a Mom earns the skills of selective listening. I blame both for their individual shortcomings and get them to clean up together. This helps not being sucked into another debate of ‘you always side with the other’ however be ready for a lot of whining where both discuss and declare that ‘Mom always finds ways to make us work!’ or any other colorful ideas that the children might be nursing on that particular day. Ha ha ha…Detective Mommy..loved the post. You always side with the other- story of my life! Very true. This does not stop even when they grow in to teens! You are absolutely bang on Neha! The chief-justice at home a.k.a mummy does have to take on the mantle of detective before passing judgements on who did it! Aww…I miss those wonder years, my kids are now pretty grown up! I have a younger brother and we did have fights in childhood. and after reading your post I accuse my mom of selective hearing. 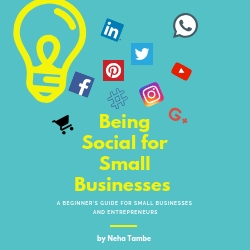 a very unique topic chosen by you.